The story involves a group of high school students at Ayana Academy, a school with music as its main focus. A trio of students are called Hanasakura-kai, designating the most talented from the music department. To get in, individuals must enter through a Star Frame class. 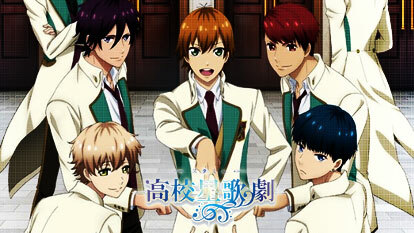 The series tells the story of Yuuta Hoshiya, Tooru Nayuki, Kaito Tsukikage, Shou Tengeiji, and Shuu Kuga as they aim for a position in the musical department after being spotted by Ootori, one of the Hanasakura-kai members.